Steph Curry has been named the NBA’s Most Valuable Player (MVP) for the second year in a row – the fourth NBA player to ever get the award in back-to-back years. 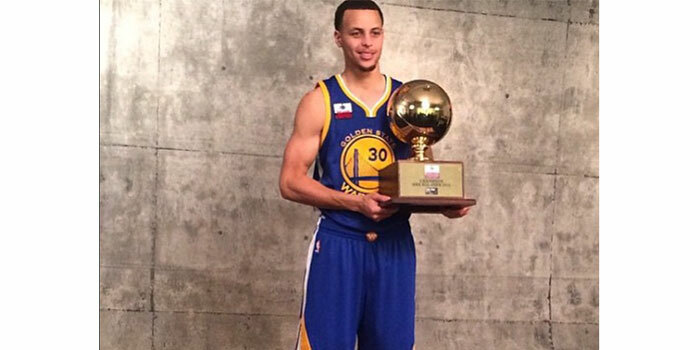 But he’s the first NBA player to receive the MVP award unanimously. After being off the court for two weeks due to a sprained MCL, last night he was allowed back to play in Game 4 of the Western Conference Semifinal against the Trail Blazers. And proving that he more than owns the MVP title, Curry wound up scoring 27 points in the fourth quarter and overtime, 17 of which he scored in overtime, breaking the NBA record. ESPN Senior Writer Marc Stein has written a good article on Curry that’s worth the read.